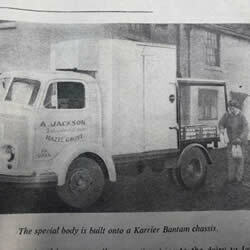 Jackson’s Dairies was established in the 1950’s by Margaret and Alfred Jackson. In 2007 the company sought their own supplies; buying a tanker and negotiating with farmers in the Peak District. Jackson’s Dairies delivers 500,000 bottles of milk each month to the North West.